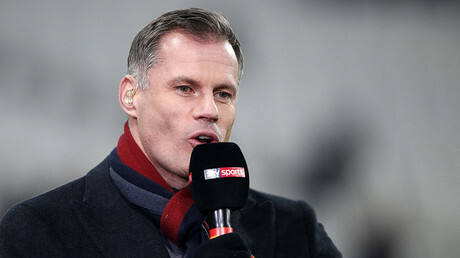 Sky Sports has suspended pundit Jamie Carragher until the end of the football season after he was filmed spitting on a rival fan’s 14-year-old daughter. He was reacting to being goaded by her father. The incident happened after Liverpool’s 2-1 defeat to Manchester United in the English Premier League on Saturday, when both parties were driving away from the match at United’s Old Trafford stadium. 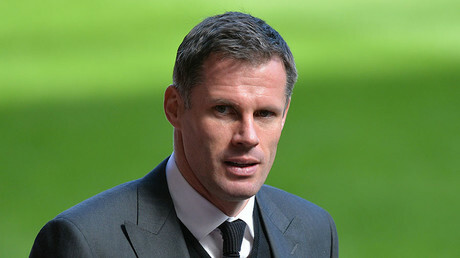 “Following an internal review, Sky has suspended Jamie Carragher for the remainder of the football season. Jamie has taken full responsibility for what happened and we will ensure he gets the help he needs to guarantee something like this never happens again,” the broadcaster said in a statement. He was stood down from punditry duties for Manchester City’s Premier League away trip to Stoke on Monday night and also for Manchester United’s home defeat to Sevilla in the Champions League. Those to offer support to Carragher in the wake of the scandal were his on-air colleague and former Manchester United defender Gary Neville, who wrote: “I’ve just watched Carra23 say sorry. No excuses he’s made a big mistake.